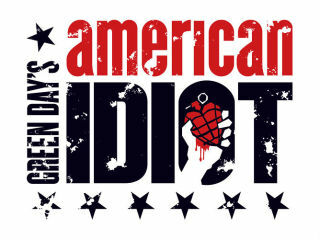 Standing Room Only presents Green Day's American Idiot, the groundbreaking Broadway musical which follows the journey of a new generation of young Americans as they struggle to find meaning in a post-9/11 world. The story, expanded from the concept album, centers on three disaffected young men, Johnny, Will, and Tunny. Johnny and Tunny flee a stifling suburban lifestyle and parental restrictions, while Will stays home to work out his relationship with his pregnant girlfriend, Heather. The former pair look for meaning in life and try out the freedom and excitement of the big city. Tunny quickly gives up on life in the city, joins the military, and is shipped off to war. Johnny, after finding the girl of his dreams, turns to drugs and finds a part of himself that he grows to dislike, thereby destroying his relationship and experiencing the loss of love. Each character’s journey from adolescence to adulthood through the show is unique and showcases the various paths we take on the road to discovering who we want to be in life. Performances at Obsidian Theater on October 9, 10, 12, 15, 16, 17, 22, 23, 24, 29, 30, 31 @ 8:00pm with a 3:00pm matinee on October 25. Tickets at www.sro-productions.com.